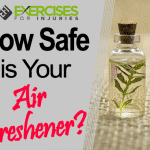 Toxins can be very bad for the body and one of the scariest things about toxins is the fact that these scary substances may be hiding in plain sight! 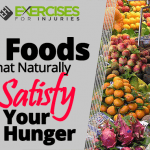 Yes, the chemicals you may use and the foods you may be eating could contain hidden toxins that can have adverse effects on the body and on your health. 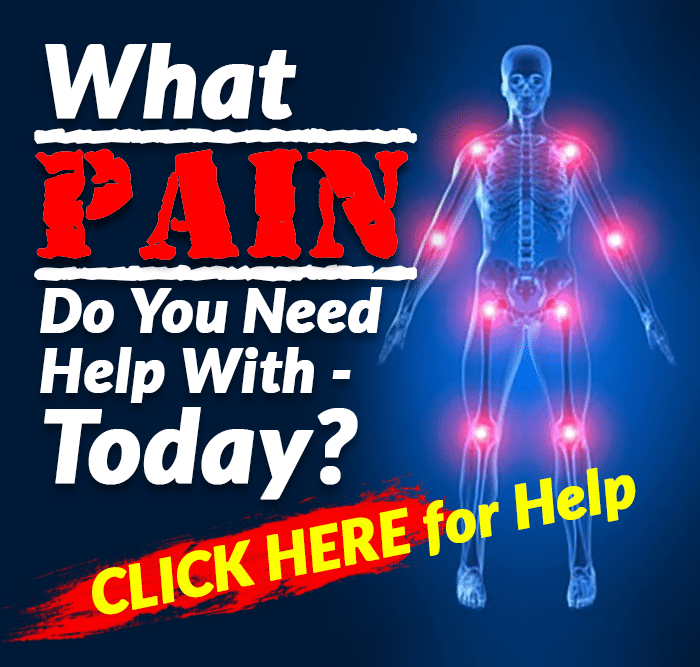 How many toxins do people get exposed to everyday? Perhaps, more than we realize. Indeed, some of the chemicals that contain toxins may provide some sort of function or purpose. 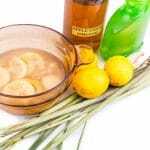 For instance, certain household cleaners may be quite effective at cleaning up spills or removing stains. Also, there are foods that are preserved with compounds which prolong the shelf-life of such foods. However, in reality, these preservatives could also be toxic to the body. Usage of these toxins in manufacturing can also create an adverse transfer of pollutants to our environment. At what cost to our health do these toxic cleaners, chemicals and environmental pollutants exist? There is a harmful connection between environmental pollutants and your health . Generally, toxic compounds should be avoided but the hidden variety of toxins may be somewhat trickier or challenging to identify. 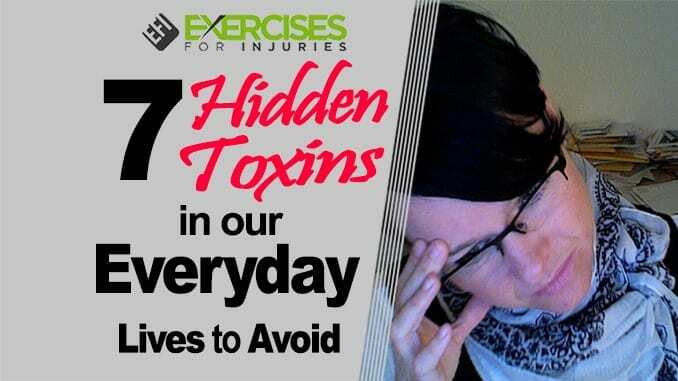 Let’s take a look at 7 Hidden Toxins you could get exposed to in your daily life. 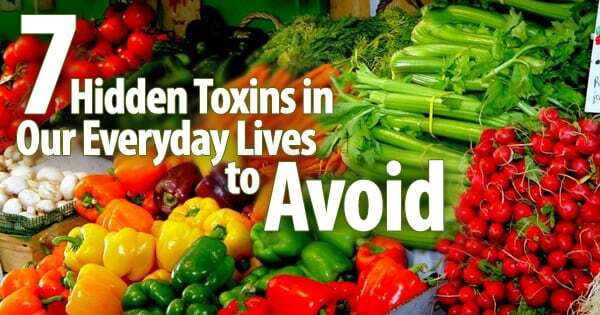 Important too is how to avoid these hidden toxins. Plants or crops can get attacked by pest such as insects and animals. These pests have the ability of severely affecting the growth and the quality of the plants or crops. In addition, livestock and food could also become adversely affected by pests. Thus, this is where pesticides come in to supposedly save the day when these substances kill or deter the activities of pests. Pesticides can also get rid of weeds and may keep your lawn looking really great. However, at what costs to our health and well-being? This is the question we need to constantly ask. The downside to the use of pesticides is the potential for people to ingest particles of these pesticides that remain on plants, crops, livestock and food. Unfortunately, there is also another hidden toxin source related to pesticides that could affect millions of people and this is one thing we all need: water! Yes, pesticides flowing through run-off water can quickly contaminate both drinking water and non-drinking water supplies. These levels of contamination may be estimated as being low and possibly declared safe for consumption. However, levels of consumption can accumulate. People also do other things with water including taking showers and playing in water. Research studies have linked health problems and the exposure to pesticides . Heavy metals can include mercury, lead and arsenic. So, how do you come in contact with heavy metals? No, typically, we would not see heavy metals such as arsenic, lead or mercury in large heaps on the street. On the contrary, we usually get exposed to these heavy metals in a somewhat subtle manner. For example, there are pesticides that are made with arsenic. Also, mercury can be present in the air we breathe as a result of the combustion of various types of fuels and oils. In addition, mercury toxins may be distributed by waste disposal companies that specialize in medical devices and dental services. Another hidden source of mercury toxins is crematory locations. Apart from being present in the air, mercury toxins are eventually be deposited on food, in water and on different items we may touch. Foods like fish that we eat could also contain mercury. Lead and arsenic are definitely significant heavy metal toxins. People may readily associate lead to pencils. Actually, lead can be found in many products that consumers use including dyes, pipes and paints. Lead can also get into the soil, creating another avenue for exposure. It easily attaches itself to materials that we wear, enabling yet another channel for spreading this toxin. As a result of the toxins associated with lead, there is a push in toward lead-free products. Arsenic is another type of toxin that is easily absorbed into the soil. It can also be found in some products such as soaps and paints. Until banned in many parts of the world, arsenic was used to prevent wood from rotting. 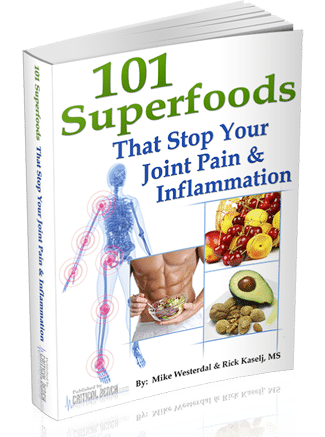 Mercury, lead and arsenic can lead to really severe consequences to health including kidney damage and nervous system damage. In some cases, high expose could be deadly. The perfluorinated compounds, also known as the PFCs can be found in many items that are used constantly in homes and offices. Hidden in plain sight, PFCs are very commonly used in packaging because of the ability of these compounds to prevent the penetration of liquids such as water or oil into the packaging material. In addition, PFCs can also be resistant to stains. Examples of where you could find PFCs include pizza box packaging, clothes that are stain-resistant, cooking utensils that are stain resistant, paper products that do not allow stains, non-stick cookware, the bags that microwave pop-corn are placed in and so many other similar types of packaging. You have probably seen ‘BPA-free’ stickers on water bottles or other containers. Yes, this health-conscious and marketing strategy from the manufacturers of these drinking containers and other similar products is meant to specify that the product does not contain a toxin known as Bisphenol A (BPA). BPA was synthesized as a major part of the structure of plastics and basically, if using a container that contains BPA, you are practically ingesting this harmful compound as you eat or drink. We eat and drink everyday! Hence, imagine the amount of destruction that could be occurring in our bodies if we are unknowingly utilizing containers which have been laced with BPA compounds during the manufacturing process. There have been linkages between exposure to BPA and low sperm count, heart disease and infertility. There has also been coverage by the news media regarding the adverse effects of BPA . Avoiding the use of plastics for eating or drinking may help. However, there is an upward trend in the marketplace towards more BPA-free products. Just as BPA is a toxin that can be hidden in plain sight in plastic containers that we eat and drink from, fluorotelomers, phthalates and also the PFCs previously discussed can be found in some weather-related clothing. Fluorotelomer alcohols and phthalate particles have been used to provide weather resistant characteristics in jackets and ponchos. Many other products are also made with phthalates including vinyl shower curtains, polyvinyl chloride, plastic toys and extension cords. Who gets stressed? Well, everyone does, at some point in their lives. However, there are people who get very stressed on a daily basis. Stress that is intense, uncontrollable or stress that may be described as chronic has been linked to anxiety, depression and hypertension . The body is not meant to handle excessive amounts of stress continually. Unfortunately, there are many ways in which a person could get stressed including stressful jobs that put a person under immense pressure, failing or threatening relationships, moving to a different location, health problems, a traumatic situation, financial difficulties and so many other events or occurrences that could invoke stress. Indeed, negative people could also be hidden toxin that you could try to avoid. Well, in reality, sometimes it may not be quite possible to avoid certain people who are negative. However, negativity can be quite toxic too. First, be able to realize when negativity from people around you begins to creep in and notice how you begin to feel. The more you remain in the presence of people who are negative, the more likely that their negativity may begin to affect you too. Sometimes, you may not understand their negativity but just get sucked into it. This lack of understanding could affect your well-being . You may not need a research study to show that you could feel really great when surrounded by positive and upbeat people and then subsequently begin to feel depressed when surrounded by negative people. There can be benefits in optimism and positivity! Exposure to toxins can make a person sick for a while and even worse, constant exposure to toxins could create serious health problems. As you go about your daily life, there are hidden toxins lurking in places you may least suspect. There are natural toxins that occur in plants such as microscopic algae. However, various compounds used to manufacture products such as pesticides, pop-corn bags and many other products you use, contain hidden toxins that people may simply not be away of. People and stressful conditions could also be toxic and wreck havoc on the body and a person’s health. Naturally poisonous situations and toxic plants, usually, loudly scream danger and we are more likely to avoid these items. However, the hidden toxins that we may come in contact with so subtly can be much more difficult to recognize and avoid. Thus, being aware of these hidden toxins in our everyday lives is a step in the right direction. Doing our best to minimize or completely eliminate exposure to these toxins can do us a lot of good!